Since the first Lightroom beta was released in 2006, the world of photography has undergone many changes. In those days, most people had never even heard of smartphones, and editing photos required sitting down at a computer. Today, photos shot on mobile phones grace the covers of top magazines, and billions of photos are captured and instantly shared online every single day. The folder-based version of Lightroom that we’ve known and loved for the last 10+ years is still going strong. It’s been rebranded as Lightroom Classic, because it continues to use the traditional desktop folder-based organizational system we’ve used for decades (as opposed to a modern cloud-based system). Future development of Lightroom Classic is being refocused on improving performance and enhancing the editing tools. It’s become a bit of a jack-of-all-trades over the last few years, so this new focus is great news for serious Lightroom users. 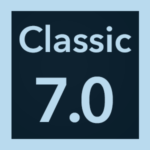 Lightroom Classic 7.0 was released today, including the first wave of performance improvements, a new embedded preview workflow for faster culling, and a new range mask tool for color/luminance based selections, in addition to the usual new camera/lens support. There’s more information on the new features here. Before you jump to upgrade, a word of warning is in order. Performance is a tricky thing. Making a feature faster on one computer can make it slower on another, and the code changes are so widespread, it can create bugs in seemingly unrelated areas. I’d recommend exercising a little caution because opening a catalog into 7.0 upgrades the catalog format, so you can’t easily roll back to 2015.12 if you run into problems. Lightroom 7.0 can be installed alongside Lightroom CC 2015, so if you’re an early adopter, perhaps test it using a clean catalog before upgrading your main working catalog, just in case. I’ll compile the early feedback into a blog post over the next week or two. For the last couple of years, it’s been a subject of great debate… will Adobe keep selling Lightroom as a perpetual (standalone) license or not? We finally have an official answer… Adobe will continue to sell Lightroom 6 as a perpetual license, but Lightroom 7 and future versions will only be available to CC subscribers. At least they’ve said it now, and we can all stop guessing. They’ll continue to add new camera support to Lightroom 6 until the end of the year, and even at that point, your perpetual version of Lightroom will not spontaneously combust. If you’re currently a perpetual user, I’ve outlined some of the options here. There’s a new cloud-native version of Lightroom, designed for the next generation of photographers. Because in this version everything’s synced to the cloud, your photos and edits are available on all of your devices, wherever you are. Since Lightroom manages your photos for you, this new Lightroom app is really simple to use (no more missing files! ), but still has the non-destructive editing power we’ve come to expect from Adobe. It’s been rewritten from the ground up, so it’s relatively bug-free (hooray!). It’s early days, so Lightroom CC doesn’t have all of the features of the Classic version, but it already has the essentials and will continue to develop rapidly. If you’re a Lightroom user considering moving to the cloud-native app, I’ve created a feature comparison table, so you can check whether it has the features you need for your workflow. The iOS and Android versions of Lightroom have been updated with some fantastic new features including AI-based automatic tagging and search, keywords, album folders to organize all of your albums (prev. called collections), and the Android version now has the brush tool too. You can read all about the new features here. The mobile apps are designed primarily to be a companion to the cloud-native Lightroom CC ecosystem, so they now use the new terminology (e.g., albums instead of collections). The mobile apps continue to sync with Lightroom Classic, as they always have done, but no new cloud features will be added to Lightroom Classic, so keywords and collection sets don’t sync with Lightroom Classic. What’s the difference between Lightroom CC, Lightroom Classic, Lightroom CC 2015 and Lightroom 6? Lightroom CC is a new cloud-centric photography service. All of the photos are stored in the cloud and available on all of your devices, whether they run Windows, macOS, iOS, Android or tvOS, as well as in a wide range of web browsers. It can take advantage of cloud computing, for example, machine learning based search. Lightroom looks after everything. If you buy a new computer, you simply install the app, sign in… and all of your photos appear! Lightroom Classic is the latest release of the traditional desktop-centric version of Lightroom, where files are stored in folders on a local hard drive. It has limited communication with the Lightroom CC apps, but can sync small smart previews to the cloud for viewing/editing and can receive new photos added using the Lightroom CC apps. You’re in charge of managing your photos. Lightroom CC 2015 is an older version of Lightroom Classic available to CC subscribers. It currently has limited communication with the Lightroom CC apps. Lightroom 6 is an older version of Lightroom Classic, released in April 2015, and is still available as a perpetual (standalone) license, for those who don’t want a subscription. It doesn’t communicate with the Lightroom CC cloud. 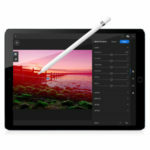 Why create a new Lightroom app instead of improving the cloud functionality of Lightroom? Trying to shoehorn a cloud-centric workflow into an app designed for a single desktop just doesn’t work well and adds unnecessary complexity. Each workflow has very different needs. Separating the apps – albeit with some crossover – means that each app can focus on its strengths and be more focused on the needs of the photographer. Is Adobe abandoning professional and advanced photographers to concentrate on mobile photographers? Adobe is making it easier for new photographers to get started with Lightroom, but that doesn’t mean they’re abandoning the existing user base. Quite the opposite, in fact. They’re renewing their commitment to improving their photography software based on feedback from all kinds of photographers, from beginners to professionals. Why has Adobe changed Lightroom’s name? Why not call the new one Lightroom Elements? Although the new Lightroom CC app currently has a limited feature set because it’s a 1.0 release, it’s not designed to be a stripped down (or ‘Elements’) version of Lightroom. Lightroom is now growing in two different directions now instead of one, but they are closely related, so they both need to stay in the Lightroom family. Lightroom CC will focus on cloud workflows, while Lightroom Classic will focus on a traditional desktop workflow. Lightroom CC focuses on a cloud-centric workflow, which is ideal for photographers using multiple devices, or who just want a simpler way to organize, edit and share their photos. It is a 1.0 release, so it doesn’t have all the features of Lightroom Classic yet, but it may already do everything you need. Lightroom Classic focuses on a desktop-centric workflow, which is ideal for photographers shooting very high volume, with limited internet connections, or those who require features not currently available in Lightroom CC. To help you compare, I’ve created a list of features and flow chart to help you decide which version is right for you. Does this mean Lightroom Classic is dying? No, Lightroom Classic development has been refocused on performance and editing improvements, which is brilliant news! Many of the engineers are new to the team and very enthusiastic about improving Lightroom. Do I have to switch from Lightroom Classic to Lightroom CC? You want all of your photos backed up to the cloud and available on all of your devices, without having to import and export catalogs. Having all of your originals available wherever you are grows on you quickly! You struggle with the file management or complexity of Lightroom Classic. Lightroom CC is designed to be much easier to use. You want to take advantage of cloud features, such as artificial-intelligence based search. Your internet connection is too slow or bandwidth is too expensive. You use advanced features that aren’t available in Lightroom CC yet. You have many TB of photos that need to stay on local hard drives. Use Lightroom Classic on your desktop, sync smart previews to the cloud, and use Lightroom CC on your laptop and mobile devices, so you can view/edit photos on your other computers without having to import/export catalogs. Can I still sync from Lightroom Classic? The existing cloud sync functionality will remain in LR Classic, so you can sync with any of the Lightroom CC apps including the iOS/Android apps, but no new sync functionality will be added to Classic (so keywords and collection hierarchy won’t sync). Who is Lightroom CC designed for? Lightroom CC is designed for all passionate photographers, whether they’re beginners, advanced amateurs or professionals. Many of the advanced sliders are hidden by default, so it’s easier for new photographers to get started, but it still has all the power of the Adobe Camera Raw engine. It’s only version 1.0, so although the feature-set is limited at the moment, it will rapidly grow based on user feedback. Is Lightroom CC a dumbed down version of Lightroom? No, it’s a different tool for a different job. It’s focused on a cloud-based workflow, rather than a folder-based workflow. It is simpler to use, because it looks after all of the file management and many of the advanced editing sliders are hidden by default, but there’s plenty of power under the hood. Does Lightroom CC have all of the editing tools from Lightroom Classic? The same camera raw engine lies under the hood of both versions of Lightroom. In Lightroom CC, some of the advanced sliders are hidden by disclosure triangles and buttons. There are a few features that don’t have a user interface yet, such as the tone curve, split toning and camera profiles, but these are expected to follow over the next few months. In the meantime, Lightroom CC can still understand and apply these hidden adjustments when added via synced settings or presets. Which file formats does CC support? Lightroom CC can import all of the same file formats as Lightroom Classic, including the full range of raw file formats. Which Lightroom Classic features is Lightroom CC missing? There’s a feature comparison on this page. Why doesn’t Lightroom CC have my favorite feature from Lightroom Classic? It’s early days. There’s a good range of features already, but it’s also a version 1.0 product, which means it’s in a stage of rapid development. Adobe is looking for your feedback on must-have features. You can share your requests at the Official Feature Request / Bug Report forum. Can I use Lightroom CC offline? Yes, you can use Lightroom CC when you don’t have an internet connection. Obviously it can’t sync with the cloud when you’re offline, and the cloud-based search feature won’t work, but you can still add new photos and work with photos that have already been downloaded. Can I keep a local copy of my photos or all they just stored in the cloud? Everything’s saved safely in the cloud, but it’s very easy to keep a local copy too. There’s a checkbox in preferences to store all originals locally, and Lightroom manages the storage space for you. You can even set the originals to store on an external hard drive, and if you add new photos when the hard drive is disconnected, Lightroom automatically moves them over when you reconnect the drive. It couldn’t be easier. How many computers can I use? You can currently have Lightroom CC activated on two desktop/laptop computers, plus as many mobile devices and web browsers as you like. Can I convert my Lightroom Classic catalog to Lightroom CC? Once you’re sure that Lightroom CC has all of the features you need, there is a migration tool to upload a Lightroom Classic catalog to the Lightroom CC cloud. It does require twice as much hard drive space, at least temporarily, as the migration process copies all of your photos into its own storage space, ready to upload to the cloud. If you’re not sure you’re ready to commit to a Lightroom CC-only workflow, I’d suggest using Lightroom CC like a mobile client for a while, just viewing/editing smart previews synced from Lightroom and adding new photos, rather than jumping into migration (which is a one-time process). While it is possible to have “a foot in both camps”, it can get a bit messy. Can I have both Lightroom CC and Lightroom Classic on the same computer? Yes, Lightroom CC and Lightroom Classic can both be installed at the same time, especially if you’re dabbling your feet in the water to see if Lightroom CC is right for you. They don’t share the same catalog, other than via the cloud sync. How do I buy Lightroom as a perpetual license? 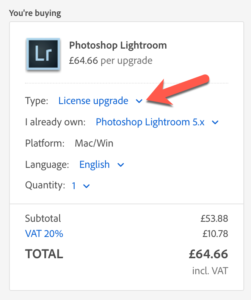 If you’re really anti-subscription, it is still possible to purchase Lightroom 6 as a perpetual license. It’s just well hidden on the website! Buy Lightroom 6 then select your country in the bottom right corner. Search for Lightroom at the top, then select the Photoshop Lightroom 6 product, not the Photoshop Lightroom one. If you’re upgrading, change the pop-up from Full to Upgrade. Then you can select your current LR version and checkout. Will Lightroom 6 continue to be updated? Lightroom 6 will continue to receive new camera updates and bug fixes until the end of 2017, but it won’t get any new features. I currently have a perpetual license – what are my options? I’ve outlined the options here. What does the Photography Plan subscription include? You can have the same package, but with 1TB of storage space for $19.99 a month. There’s a special offer for current members at $14.99 for the first year, if you want the whole lot. What does the Lightroom CC subscription include? What happens if I run out of cloud space? How much for extra storage space? If you run out of cloud storage space, you can either start deleting some files (we all have accidental photos of our feet!! ), or you can purchase extra storage at $9.99 per TB, in bands of 2TB, 5TB or 10TB. Is cloud space limited to Lightroom sync? Cloud space is now shared between Lightroom sync and Creative Cloud files, so you can use spare space to keep other documents in the cloud. Can I cross-grade from the Photography Plan to Lightroom CC or vice versa? Yes, just talk to customer services. But what if they hike the price? It’s been $9.99 a month since they released the photography bundle in 2013. There have been a few regional variations for differences in local taxes and currency exchange rates, however these have caused prices in some regions to go down as well as up. There’s no question, the price will have to increase someday, but let’s be honest, if the increases are unreasonable, everyone would just jump ship. Do I have to be online all the time to use CC? You don’t need constant internet access to use Lightroom. You briefly need internet access to activate Lightroom. It also “phones home” now and again to check your subscription status, but you can be offline for up to 99 days before it reverts to a limited mode. An internet connection is needed for syncing, of course, but it’ll save up any sync tasks until you’re back online. Lightroom Classic – The Develop module, the Map module and Lightroom Sync stop working. In the limited mode, you can still import new photos, use the Library module to organize them, use Quick Develop to do basic edits, use the Book module to create books, use the Slideshow module to create slideshows, use the Print module to print your photos, use the Web module to update your web galleries, and export your photos, just as you could before. Lightroom CC – The editing tools stop working and Lightroom sync stops uploading new photos. You can download photos from the cloud, organize them, search for them and save them. You’ll have a year to download to your own hard drive or sign up again. What’s New in Lightroom Classic October 2017 (7.0)? Lightroom CC vs. Lightroom Classic – Which Do I Need? What’s New in Lightroom iOS/Android October 2017 Releases? I know you’ll have loads of questions, so I’ve written free Quick Start eBooks, available for download later today. 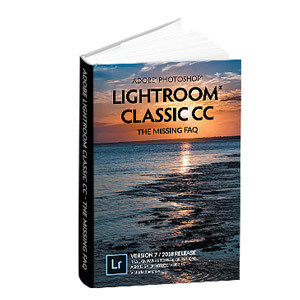 More extensive books for both Lightroom Classic 7.0 and Lightroom CC will be available soon in eBook and paperback formats, and I’ll let you know as soon as they’re released. Any thoughts on why theres no support for the D850 tethering? Nikon have to add it to their SDK before Lightroom can support it. Hi Victoria, before announcement today I was all set to upgrade my CPU to the new 6 core 8th Generation Intel processors. Then I read somewhere that Lightroom didn’t actually take advantage of more than 4 cores. Do you know any information on this ability for Lightroom Classic? I downloaded it and it does seem faster, but I still need a CPU upgrade, and it would be helpful to know if the new LR Classic is taking advantage. Thanks! There’s not a lot of information available at this point, but I do know they’ve been working hard with higher CPU counts. I’m not convinced they’ve nailed it yet, but it is on their radar. 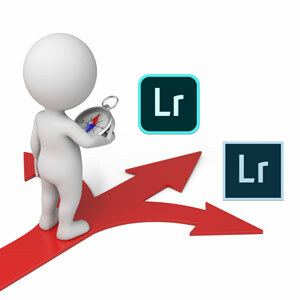 Do you know if there are there plans to allow users to control which photos are uploaded to cloud with Lightroom CC? I’m a bit concerned when I see “Yes” on the feature comparison table you put together (thanks by the way) on whether originals are uploaded to the cloud, with no proper context as to what this exactly means or how it works. Personally, I am not keen at all to sync a lifetime of photos/videos that I currently manage in Lightroom Classic for my family that currently grows by about 2-3 TB per annum – and to exacerbate the barrier to entry, the growth rate continues to increase as our equipment tends to keep relativistic pace with current resolutions in both the video and photo spaces (e.g. 4k video, 30 MP photos etc). There’s no selective sync at this point in time, so it might not be the right time for you to switch. Classic (or a hybrid setup) may remain your best bet for the time being. 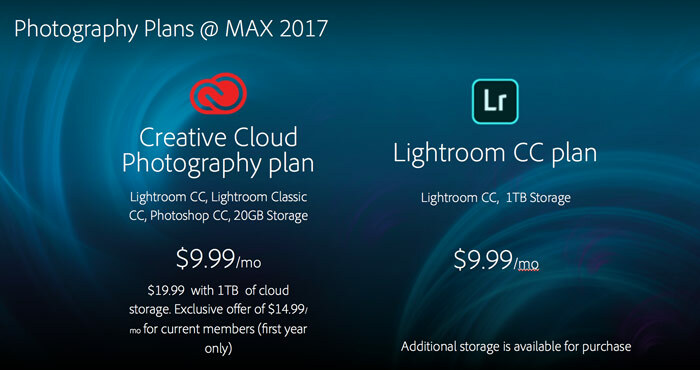 For Lightroom CC, everything goes to the cloud. Unfortunately some of us have slow, unreliable internet connections and synching everything is totally out of the question. I hope Classic doesn’t equate to “End of Line” like it does whenever I’ve seen that moniker on everything from cars to software! Thank you for keeping us up to date. They’re plowing a ton of resources into improving Classic, so I don’t have any fears for its lifespan at the moment. I would rather have preferred they said; we will continue to improve it along with developing the new service> What is your view? IMHO it’s just bad phrasing. 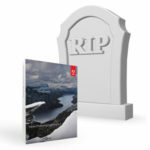 It’s likely to be a good few years before Lightroom CC has all the features necessary to tempt you to switch, and they’re not going to abandon Classic when they don’t have a suitable product for most customers to move to, because that would be commercial suicide. They make some bizarre decisions at times, but they’re not that stupid. I know there’s a lot of anxiety about the subscription model — I share it. I was wondering if we all made a suggestion to Adobe about a different way to handle a breakup. For example, how about a break up fee? Say you’ve been using the subscription model for a while, but you’re easing back a little and would just like to keep what you have. Maybe $100 to freeze your version at the current level, and make it perpetual. I’m sure there are lots of variations that could be considered. Thoughts? Some folks have been suggesting this sort of thing since Creative Cloud first came out over five years ago. It’s an interesting idea, but the fact of the matter is that the CC model has grown strongly just as it is, so it may not be a good idea to hold your breath for any major changes in how the model works… The company continues moving towards fewer perpetual options compared to subscription, rather than more. I’m not generally a big fan of subscriptions either, so I like the idea. I can’t see them doing it though. They went about it a different way – most of Lightroom continues to function, with the exception of Develop, Map and Sync. That means you still have full access to all of the work you’ve done, and can even continue to use it to organize your photos while you use another editing tool. Seems a pretty fair way of handling things. Hi – have you attempted to migrate a large library with originals on an external drive from LR classic to CC? My MBP doesn’t have enough space to copy all the originals to the SSD prior to cloud upload. Hence the process stops. Any ideas? Have you got space on the external drive for duplicates TEJ? If so, go into CC’s preferences and change the location of the originals to the external before you start the upgrade. That should work ok.
Victoria, I have a question similar to, or exactly the same as TEG. All my original photos are on an external hard drive as my SSD in my MBP isn’t huge. If I change the location of the originals to the external drive, will the folder in which the copies to be uploaded also be located on the external hard drive and not on the SSD? You’re absolutely right, I was referring to the desktop version. And yes, it’s really confusing with them all having the same name! Since tone curves and split toning are in the mobile apps, we can expect them to be added to the desktop app fairly quickly. I’m wondering about the potential of Lightroom CC as a cloud backup service for images if you are primarily using Lightroom CC Classic. It could apply to those who have less than 5TB of images (otherwise BackBlaze is cheaper) and won’t save non-image files. 1. Are there any problems with downloading from a Lightroom CC Album back to a folder in your computer? 2. Even though Lightroom CC does not have all the Classic controls, does it recognise all Lightroom CC Classic edits in a file? Is this any different for changes saved to the RAW file and changes in sidecar files? No, downloading them works fine. They’re also planning a separate download tool, for people who decide to end their subscription and don’t have the desktop app installed, so you can always access your photos. All of camera raw is hidden behind the scenes, so any edits applied in Classic will also render correctly in LR CC, even if it doesn’t have a UI yet. Thanks as always for the helpful info! As you suggest, I want to add Lightroom CC to my workflow for now. Can you suggest or prepare a workflow for people like us? I would just be nervous about duplication/data-loss, etc, but if you think this is a way to transition, I’d be interested in your thoughts. Much appreciated for your support of the photography community! Yep, keep an eye on the blog here. I’m working on some blog posts for the next few weeks for “foot in both camps” type workflows, so you can try both. In the meantime, anything you’ve already been doing with mobile will still work exactly as it did before. I’m super jazzed about the future of editing on mobile and glad Adobe kept both Cloud and Desktop versions. Marketing should have included those words in the naming. Now that I see the new Lightroom CC is a glorified web version/mobile app, it makes sense that a browser may not be quite as capable as their new app. I was most excited about my keywords making it over to Lightroom CC from Classic. I’m guessing it’s just a matter of time for Adobe to incorporate keywords that sync both ways. Right now, it seems that keywords are independent and that Cloud and Classic keywords are totally separate. If only they could communicate that it is coming or NOT call them “keywords.” Looking forward to some hacks or the Queen’s input on what may be expected or solutions found… Thanks again for being awesome. I hope they do make Classic sync keywords with the cloud, even if they had to go into a separate panel with flat keywords only. They’re pretty adamant they won’t st the moment, but public opinion may be able to change that one. The hacks are only a one-time deal at moment, and I’ve been looking hard. As a product champion in the software development industry (in the data management domain) this (keyword management) is a fundamental concept in any Digital Asset Management (DAM) solution, and one that can’t be ignored/neglected if they expect widespread migration to Lightroom CC, particularly for content providers that need structured methods of categorizing and classifying photographs at scale. 1. If they are planning something around automated keywording based on image recognition (ala Google Vision API), then this would be quite interesting. They are light-years behind Google Vision, though, at least in the desktop version. 2. Perhaps they are considering implementing industry standard keyword hierarchies. This point is not mutually exclusive from #1, from my point of view. As a data management professional, I’m not opposed to this so long as it is suggested and not enforced compliance (e.g. we can extend the standard hierarchies to suit our personal requirements). 3. The above being said, from a change management perspective & ease of on-boarding, there needs to be a way to transition from classic keyword hierarchies to the “new” hierarchies and a way for these two to live in relative harmony. Even a 1-way sync would probably suffice. 4. I am 100% opposed to flat keywords. I’ll design my own DAM if I have to, but hierarchies must be supported from my point of view. At the minimum, Adobe should communicate their intent in this space to manage expectations. Thanks for the link Victoria. 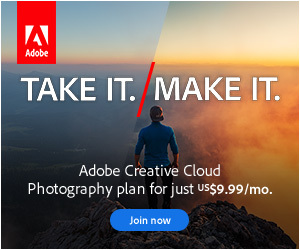 As a prosumer enthusiast with horrible Internet connectivity because I’m currently living in India, I actually don’t feel like I’m in Adobe’s target market, so I feel it’s wasted effort. As a product owner in the data management domain (very similar what the catalog part of Lightroom does), I would mark my requirements as edge cases and move on without giving much thought about them unless and until the value of addressing them was readily apparent. I call this the “feedback gap” – where people are so disillusioned by the process and their relative value in the system that they don’t bother providing useful feedback. It’s a bit ironic – I am an expat in India creating a better world in the realm of data management by leveraging cloud technologies; however I can’t take advantage of that world, despite how much I believe in it, due to the fact that my Internet connectivity is horrible because of where I live. Hopefully the internet connectivity in your area will pick up before they get to that point. There must be lots of Lightroom users in India! Just came across your site while trying to work through the changes Adobe has introduced and I must say I am so impressed by the clarity of your writing. I’m hoping you can shed some light on a question I have. With the Photography Plan you get LR Classic, access to the mobile app and 20GB of storage. Any idea what happens if I import more than 20GB of RAW files to my ipad on a trip (away from wifi) using the SD card reader? Will the originals still sync to my desktop when I get back onto the grid even though I have more than the 20GB limit to synch? If Adobe’s cloud storage limit is a hard cap on synching then it severely limits the usefulness of a mobile device as a backup when off the grid for any length of time. Hi Mark. I knew I recognized your name… I’ve just replied to you on the FR forum. If I’m understanding you correctly, there might be a workaround for your trips. I can’t test this right now, but in theory, you could still import more than 20GB into the mobile app, but it would only upload 20GB to the cloud. When you got home, you could let it download the 20GB it uploaded, unsync those from Classic to free up the cloud space so mobile can upload another 20GB to the cloud, let them download that 20GB, unsync, and so forth. Not quite as elegant as just letting the whole lot upload and download in one go, but might be cheaper than paying for the 1TB if it doesn’t happen often. Thanks for the quick reply. I don’t have a way to test this either as the trial version of LR Classic has a 1TB limit and I’m not willing to roll the dice on subscribing to the base plan as Adobe support indicated to me late yesterday that the synch wouldn’t even start if it detected that the files in the mobile app to be synched exceeded the allowable data cap. I’ve decided that I’ll just stick with LR6, backup, cull and rate my images on the ipad using 3rd party apps and then import them into LR via a lightning cable at home. This is faster and it’s free. I lose the ability to truly edit in the LR environment on the ipad but that alone certainly isn’t worth $240/yr! If Adobe increases their base data cap or better yet allows for synching over a LAN or direct connection then I’ll reconsider. The one good thing out of this mess is that I’ve discovered your website! I’ll see what I can find out and come back to you on this one Mark, as I’d like to know the answer too. It might be a while as everyone’s swamped right now. I don’t set too much store in what Adobe support say, as they frequently give out misinformation. I’ve just heard back from the LR mobile product manager, and he thinks it’ll work fine. There is a 14 day cooling off period on a new subs, which would give you time to confirm with no risk, so it could be worth a shot. Thanks for the overview. Do you have any more details about how it behaves when you use networked storage as the local storage. You say “You can even set the originals to store on an external hard drive, and if you add new photos when the hard drive is disconnected, Lightroom automatically moves them over when you reconnect the drive”. But does it still have all the previews and can you edit when the remote drive is disconnected? i.e. Will it then download a temporary local copy and sync back when you reconnect? Which “it” Ed? The new CC? It’s smart. The basic previews are on the boot drive, so you can still edit when the external is disconnected. It only stores originals on potentially disconnected external drives. Everything gets automatically fixed when you reconnect. Sorry yes I meant the new CC. Great news about smart previews etc., but yes I was referring to a NAS. Hopefully that will come in a future update. Thanks for answering. I don’t understand why you repeatedly say that the workflow changes. My editing workflow won’t change, unless the incarnation of software forces me to. That means: if LR CC forces me to change my workflow, it is a negative impact. The main difference between the two versions is data bandwidth and I don’t think people understand how much impact that has on the editing. I find the new LR Classic to be slow on my (granted, aging) computer, I would go bananas if I had to ad-hoc download every 50 mb D850 image for each edit. And I’m not a wedding photog, I specialize in night photography where 80 frames is much for a photo shoot. This cloud-based idea is insane! That bandwidth requirement, and the fact that LR CC is a severely crippled version with many of the basic features missing makes this a good idea for the future, but hardly a usable solution for now. Maybe a better way to describe it is that the way in which the majority of images are captured and used today required a different workflow, and Adobe has provided it. You and I shoot on our DSLRs, upload to our computers for editing on a nice large, maybe hi res screen, and send to a printer or client. But we’re now the minority. The big market is the iPhone user who shoots some images at a picnic, on vacation, or at an event, and uploads them immediately directly to Facebook, Instagram, Flickr, Twitter, etc. They never pass through a computer. It’s immediate. Whatever editing that’s going to be done will be done right there, right now, or not at all. There are about 100 times as many cells phones as DSLRs. Anyone can do that math. Your absolutely right about the bandwidth issue, but it doesn’t matter to this type of shooter, because he’s not shooting that much volume at one time, and his cell phone is very limited in storage capacity. Will a wedding shooter use this? Doubt it. An architectural shooter (what I do) — no…I have to edit on a big screen. Anybody shooting 50 MB files…not unless they have Adobe stock (the Wall Street kind). Our workflow doesn’t have to change, but they needed one that fit the shooting they do. Make sense? Forgive me if this has already been covered and I missed, but I’d like to have Lightroom Classic and Lightroom CC sync automatically. As it is, I have to move images manually from Lightroom CC to Lightroom Classic. This specifically applies to HEIC images, which Lightroom Classic for some reason does not recognize. HEIC files aren’t supported in Lightroom Classic yet. It’s a brand new format, so Adobe has some work to do before Classic will work. They’ve already done that work for CC. Why use collections to organize photos? How do I restore some of the photos from my backup catalog? How do I use my Lightroom catalog on multiple computers?